And the awards for "Best Gadget Name" and "Best Knob Setting Values" goes to . . . Digital Audio Manifestationz, makers of Ezekiel 25:17, a "stompbox" for generating deep, nasty fuzz tones for your bass guitar. 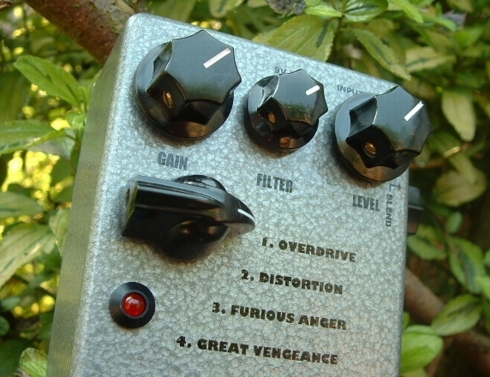 Notable knob settings: "Overdrive", "Distortion", "Furious Anger", and "Great Vengeance".